Whether building an affordable first home or a large architectural custom designed house, all our builds are met with the same care and precision workmanship. Our rates are competitive and in many cases cheaper than many standard "volume builders" and you can be guaranteed a greater care of quality workmanship and face-to-face communication working with Red Emperor Constructions. 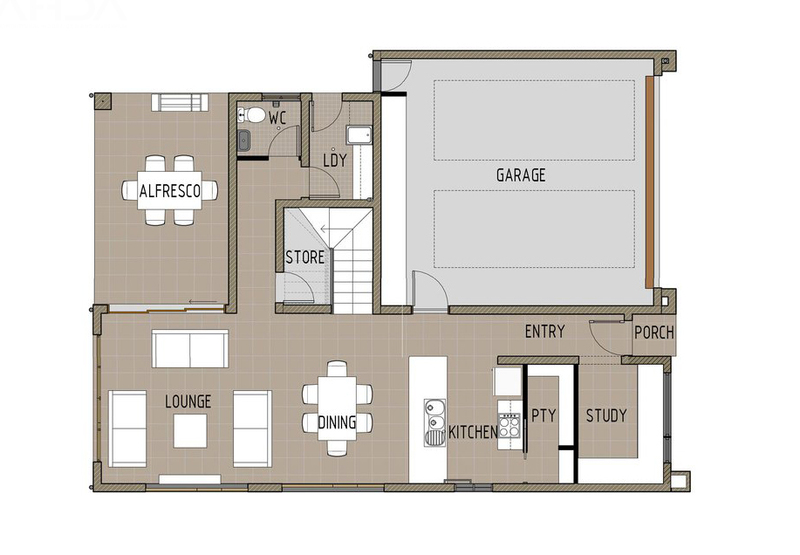 Enjoy the ease & flexibility of choosing from one of our many existing house plans below, bring us your own plans, or let us help you draft your own unique tailored solution. 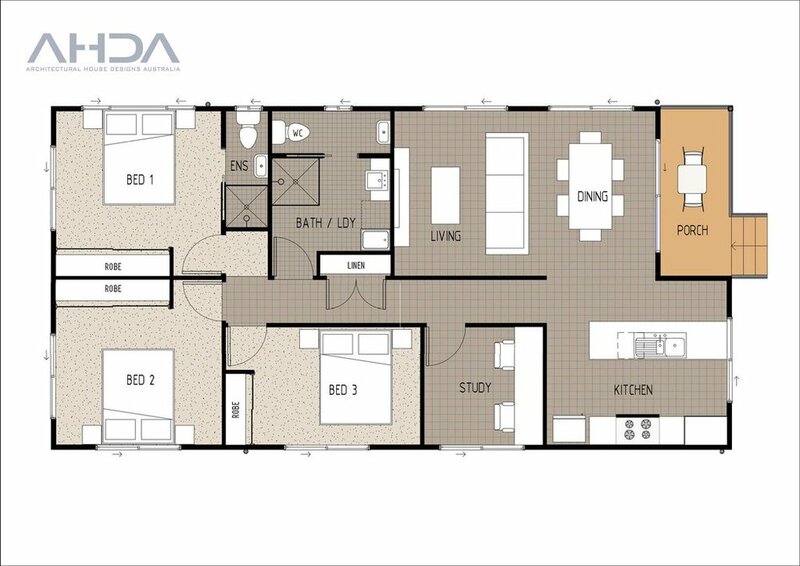 To modify or discuss any of our featured floor plans please contact us. 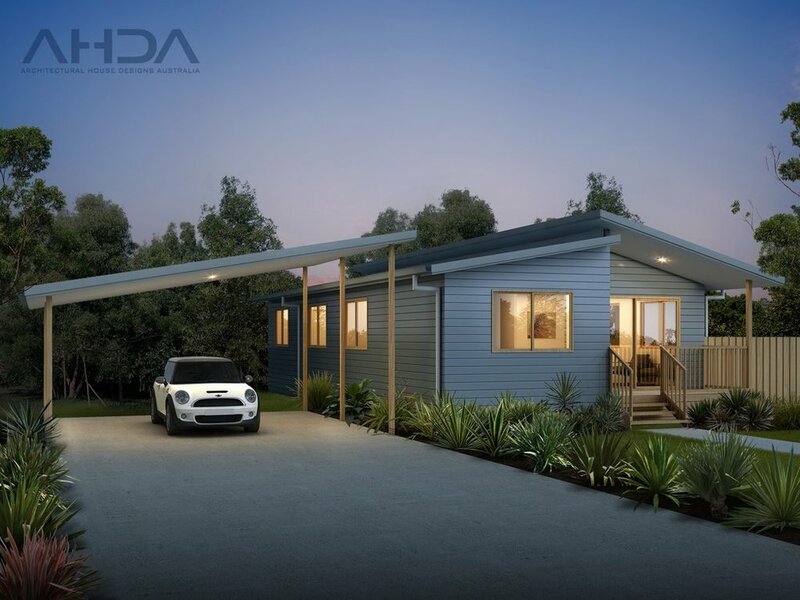 This cute smaller three bedroom home is perfect for those on low budgets. Walking into the combined living and dining room, the kitchen is to your left it is in its own area, while still feeling open plan. A bonus dedicated study and a combined bathroom/laundry. At the rear of the home are the three bedrooms, all with built in wardrobes. The master bedroom even features a small private ensuite. © Architectural House Designs Australia. This two story home is perfectly suit for a small block size. Downstairs as you enter features a study to the left that enters into open plan living, kitchen and dinning area. While upstairs features bedrooms, master bedroom with ensuite and WIR. This large 3 bedroom home has large outdoor patio areas surrounding the home giving it a perfect indoor / outdoor living balance. A spare room could easily be a 4th bedroom or media room. Ideal for sloping blocks and budget builds. Entering into the open plan kitchen, dining and living area, you are immediately greeted with the views and natural light coming in from the good sized outside verandah which flows off from the living room. Two bedrooms feature wardrobes. Bedroom 1 has the added bonus of a private ensuite. A second bathroom and European style laundry complete the home. We are accredited and a member of the following organisations.